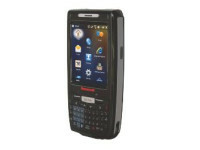 LXE’s MX9 ultra rugged handheld computer includes a host of features including an outdoor display, multiple scanning and imaging options, back-lit keypads, built-in GPS positional location option, and 802.11 b/g or a/b/g radio, GSM/GPRS/EDGE and Bluetooth communications options. 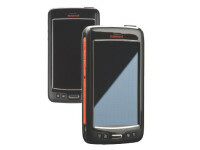 The MX9 boasts an IP67 rating, 6ft. 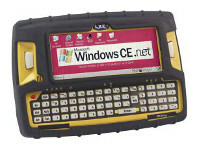 drop spec, and rugged housing designed and tested specifically for harsh indoor and outdoor environments. 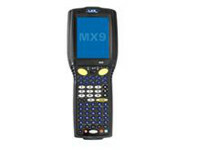 The MX9 handheld computer has a PXA320 processor and industry leading Windows® CE 5.0 operating system, offering an open platform for application development and LXE’s ToughTalk technology, supporting voice logistic applications. 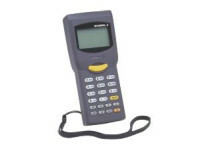 The MX9 is perfect for use in ports and intermodal applications, outdoor logistics operations, and any harsh environment where reliable data collection is needed.